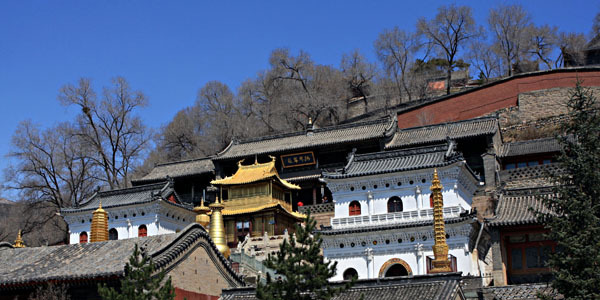 Mount Wutai, located in the northeastern part of Shanxi province, is 230 kilometers away from the provincial capital city Taiyuan. It is equally famous with Mount Emei of Sichuan province, Mount Jiuhua of Anhui province, and Mount Putuo of Zhejiang province, as the four famous Buddhist mountains of China. 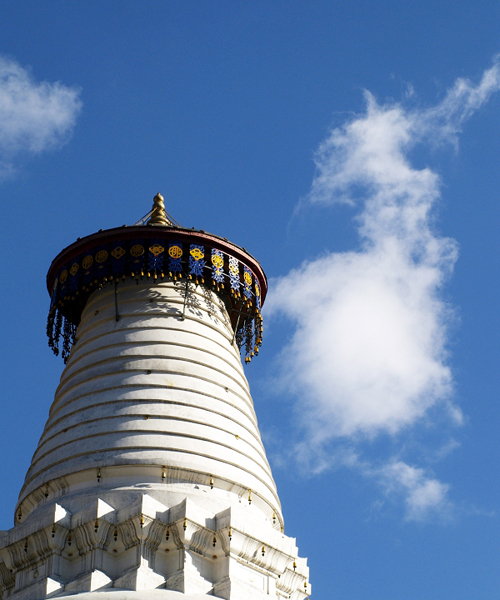 It is a Chinese Buddhism and tourism attraction, and the best of China’s top 10 summer resorts. In 2009, it was listed by UNESCO into the world heritage directory for the cultural landscape. 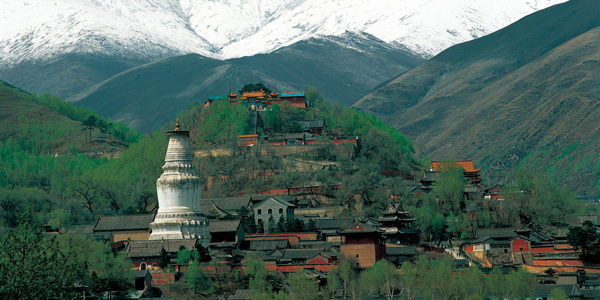 Mount Wutai is glutted with wonderful peaks and cliffs, including 50 most famous peaks and cliffs. The Writing Cliff will show seal characters and official scripts when watering the cliff and wiping away the water with handkerchief. Removing the surface of the rock, the cliff remains to show Chinese characters. The cliff bears Chinese characters at each layer, with different characters. According to historical records, the cliff showed a long couplet reading “The three treasures of Heaven are the sun, moon and stars. The three treasures of the Earth are water, fire and wind. 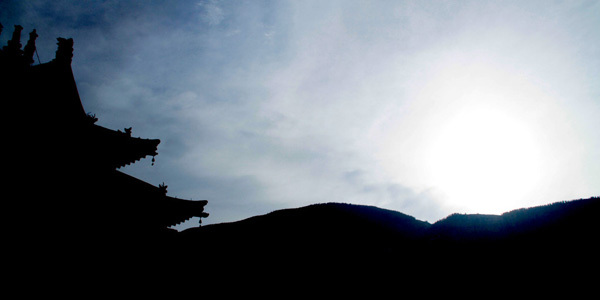 The three treasures of man are essence, energy and spirit.” Mount Wutai covers an area of 320 square kilometers. It was named after five peaks that resemble five giant columns rising straight from the ground. The peak tops are plat like platforms. 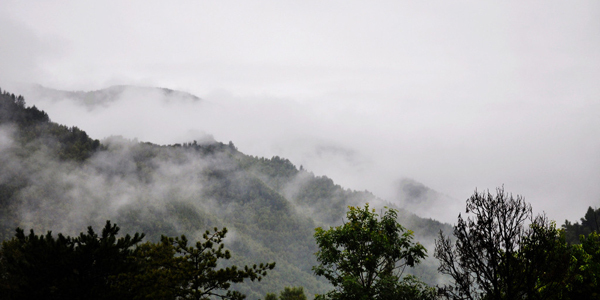 Since the mountain is largely cold in climate, and in midsummer days it remains cool, Mount Wutai is also known as the Cool Mountain. 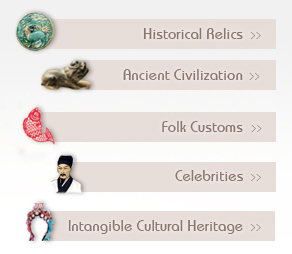 It is a tourism destination integrating natural scenery, ancient architecture, historical heritage, Buddhism culture, folk customs, and summer resort. 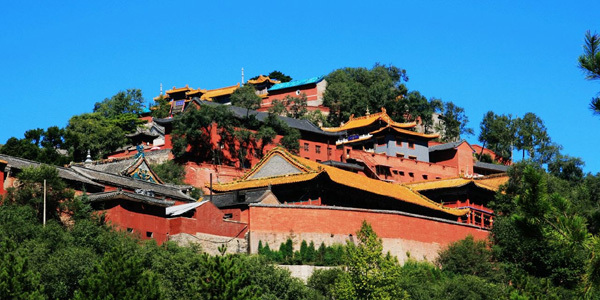 In 1982, Mount Wutai, in the name of Mount Wutai scenic spot, was listed by State Council into the first group of national level scenic areas. Over the years, it has been reputed as a national key scenic area, China’s top 10 famous mountains, national geological park, national natural and cultural heritages, national AAAAA tourism scenic spot, and world heritage.